Aston Services specialises in undertaking work for small, medium and large companies based in the UK and abroad. During the last two decades, Aston Services has been responsible for the compilation of several thousand commercial reports on the various aspects of building materials and civil engineering structures. A significant number of this work involved the investigation and testing of materials from important civil engineering projects. The following is a selected number of most recent and/or important projects successfully delivered. Over the last 12 years, Aston Services has carried out, successfully, in excess of a hundred investigations relating to aggregates, mortar, concrete and brick for Birmingham City Council. 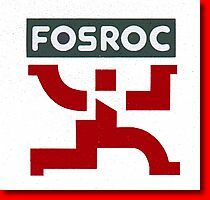 Work for Fosroc has included the development of a sacrificial cathodic protection system for use in patch repair aswell as the undertaking of an investigation of Supercast SW hydrophilic waterstop material. Work for Mott MacDonald has included the investigation of the cement type and concrete mix for chloride diffusion relating to the construction of the Channel Tunnel. The investigation of comparing electron probe microanalysis and wet chemical techniques for the analysis of chloride in concrete. Work for BRE has included the investigation of accelerated carbonation of concrete and the investigation of pore solution chemistry and alkali silica reaction. Furthermore, since 1989, Aston Services has been approved by Atkins, FaberMaunsell and AmeyMouchel to undertake all the laboratory approval testing trials and investigation for the Midland Links Viaducts. The number of contracts is in excess of 50.